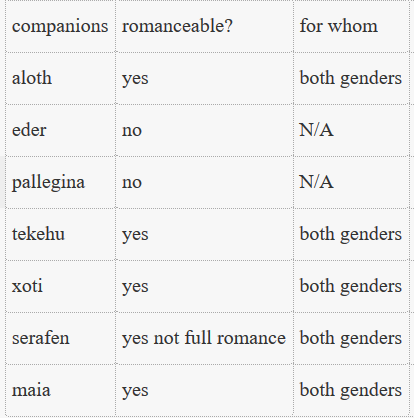 Does anyone know which companions are romance options? Anyone watching the streams? I don't want to get spoilers for the game, except in this case, because it might influence my class choices. If Xoti is a romance option, for example, I'd rather not play as a priest. All party members have multiple class options, friend. You don't need to not be a Priest to romance Xoti without causing optimization inconvenience, because when you recruit Xoti you can elect to have her be a Priest, a Monk, or a Priest/Monk. She has unique subclasses for both options. All companions have three class combination options that fit their given story/background/demeanor/etc. This could be a mistranslation, but a gamestar.de article said all the new companions are romanceable, but none of the original three are.
" Alle Charaktere bilden nun stärkere Beziehungen untereinander aus, zerstreiten oder verlieben sich. Unsere Figur kann sogar eine Romanze eingehen, allerdings nur mit den neuen Charakteren aus Pillars of Eternity 2. " Google translate: All characters now form stronger relationships with each other, disparaging or falling in love. Our character can even make a romance, but only with the new characters from Pillars of Eternity 2. Kind of? I'm not sure Hira... I mean, Illid... no... Serafen really 'fits' barbarian into his background. He's presented as a cipher, and its his basic ability as a.... sailor of some disrepute, it is literally his job to find ships with his powers. And it doesn't sound like he's ever done anything but be a sailor. And I have no idea at all where fighter or rogue multi-class attached to Aloth. I know, but I'm not a big fan of monks and her subclass doesn't look interesting to me, so I prefer her as a priest. Anyway, that was just an example. I bet more people will make an exception for this specific spoiler, so this thread will be useful. I'm hoping they're mistaken. It seems strange to me because you'd think characters you have a pre-existing history with would make for more believable romances. Gosh, I hope that is not true. I was really hoping for Eder to be a romance option. ... ouch. That's got to be a record - my Watcher was dumped before she even started the game. So, any news on who's straight/gay/bi yet? Tekehu seems to to be fine with any gender judging by Cohh's stream. I saw flirt options for both Serafan and Eder but Cohh didn't pick them so I'm not sure how that works out. this reminds me of the pre-release time of ME:A, where bunch of different sites shows conflict information regards romances and people are getting crazy because Bioware never confirm them. I remember when bioware released the info for all romance-able characters in DA:I 3 months before the game was released, I really liked that they did that. Or Pallegina in my case. Although in fairness, I did have Pallegina pegged as Character Least Likely To Be Romanceable, so it's not that huge a disappointment if she isn't a romance option. Also, didn't they say that companions will have preferences regarding the character's gender? But as I understand from various streams, so far both Serafen and Tekehu seem cool with either. Or is it just the ladies (Maia and Xoti) who have strict preferences? It's weird, though. From the introduction of her I saw (on Cohh's stream, with a kind wayfarer result), there were definitely shipping vibes. From what I saw from Cohh's streams (he's playing human male) there was a flirting option with Eder, but he didn't pick it. Tekehu straight on came on at him but Cohh rebuked him. Also Tekehu flirted with just about anybody, seems he's a promiscuous kinda of guy. I got the Iron Bull vibe from him. Personally, I hate it when romances are aggressively shoved down the players throats like that. Xoti is definitely romance able. She seemed to have some feelings towards Eder at first, but Cohh was nice to her so she got together with him instead. It was kinda cringy and short, and somewhat out of nowhere. So to people who are expecting something groundbreaking out of romances - don't. It was kinda cringy and short, and somewhat out of nowhere. So to people who are expecting something groundbreaking out of romances - don't. I don't mind if they aren't groundbreaking, but cringy, short and outta nowhere is not my cup of tea (sorry Hiravias). I guess I'll cling to hope until I get home from work and can play the game myself - or until I check this thread while the updates are downloading. Please post lots of lovely spoilers, people! Apparently you can romance Aloth so that german review is at least partly wrong. 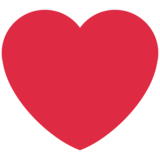 And what about the true bae, Iselmyr? Unless he's male-only... hmmm... I don't think I'm going to be sleeping tonight. Back to the game! Oooh was this shown on a stream? I've seen another reviewer say that they couldn't romance Eder nor Aloth, so I'm wondering if they are just harder to romance in general or something. Anybody know if you can romance The Steward? Because that bust is to die for. Someone just mentioned it in a chat, they were playing as a female.